Serato has just announced the new updates to its Serato DJ and Serato DJ Intro software. The Serato DJ 1.6.2 update allows for Official support for the Reloop RP-8000 Turntable, hardware support for the Reloop Beatmix 4/Beatmix 2, Numark Mixtrack Quad and Numark Mixtrack Edge, along with other improvements. The Serato DJ Intro 1.2 update allows support for the Numark Edge, Numark Mixtrack Quad, and the Reloop Beatmix 2/Beatmix 4 DJ Intro Controllers. 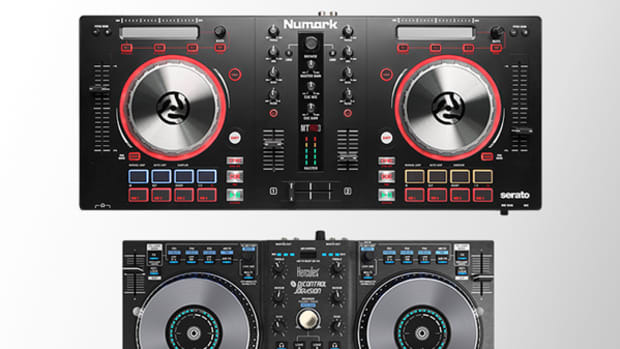 Along with the support for new controllers, Serato DJ Intro will now support four-deck control for intro level controllers such as the Numark Mixtrack Quad and the Reloop Beatmix 4. Now DJ&apos;s have a choice between Virtual DJ LE in a four deck version or the Serato DJ Intro four deck software right out of the box without the need for any additional upgrades. 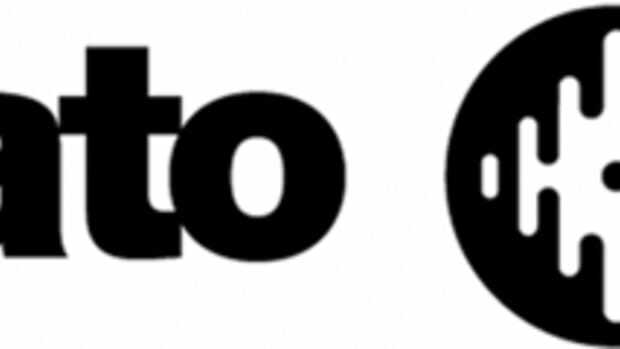 Click on the links below for more information or to download the latest Serato Software releases. The Serato team has just released the new Searto DJ 1.5.2 update which adds a list of bug-fixes, new DJ controller support, and the new iZotope FX Expansion Packs. This new update features scrollable FX drop-down menus, support for the Vestax VCI-100 MKII, Numark MixDeck Quad, and the brand new Pioneer DDJ-SB Serato DJ Intro controllers. Check out the full press release and FX demo video to see the new updates first hand. Serato has just announced a brand new 1.6.3 update to it's flagship software Serato DJ to improve platter latency with the new Pioneer DDJ-SZ controller, improve platter LED response on all controllers/CDJ's, and official Serato Accessory Support for the Pioneer CDJ-900NXS. They've also fixed a Playhead jumping issue with CDJ's in Relative mode and a Slicer Mode fix with the Reloop RP-8000 turntables using link mode. 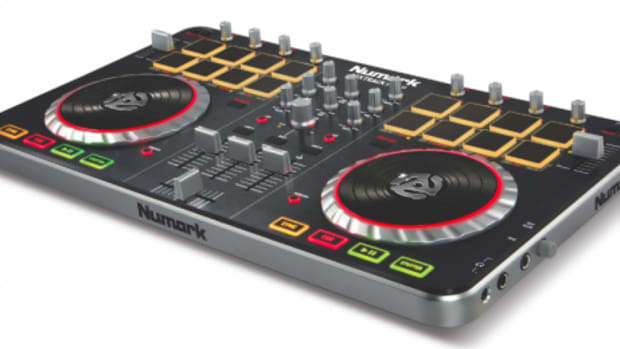 Just because someone is using the lite version of a DJ software doesn't mean the DJ can't pull off some great mixing and show some serious skills on these new entry-level DJ controllers that are out there on the market. We reviewed the Pioneer DDJ-SB controller about a year ago and Sam from the Serato team performs a quick routine using only Serato DJ Intro and some of the entry-level controllers that all cost under $300 and are bundled with the software. 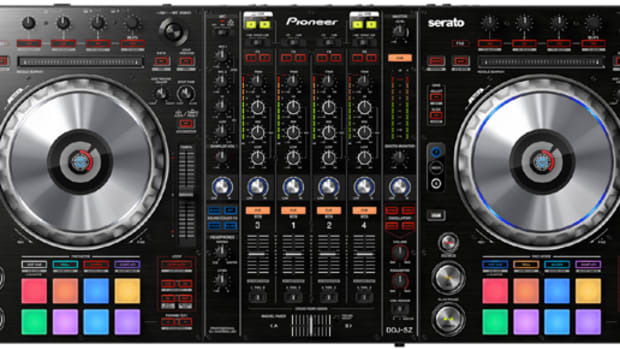 If you need more horsepower, then the user can upgrade to the full Serato DJ software which has more features. 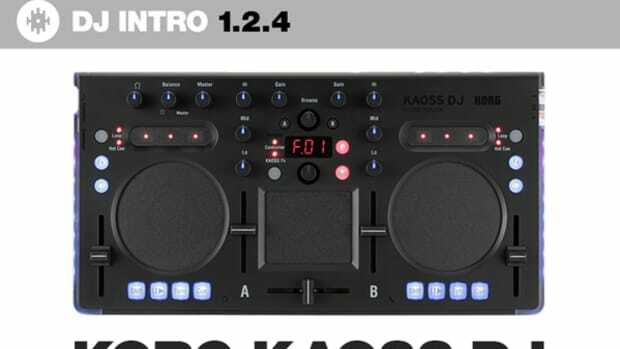 The Serato team has just announced a new update to their free software that will allow owners of the newly released Korg Kaoss DJ Controller to use Serato DJ Intro with this new device. This means users can now download Serato DJ Intro 1.2.4 which will give users access to Serato features like sync, cue points, loops, library navigation, and more. The Serato team has just announced a new update to their free software that will allow owners of the new Numark Mixtrack Pro 3 and the Hercules DJControl Jogvision controllers to work with Serato DJ Intro. 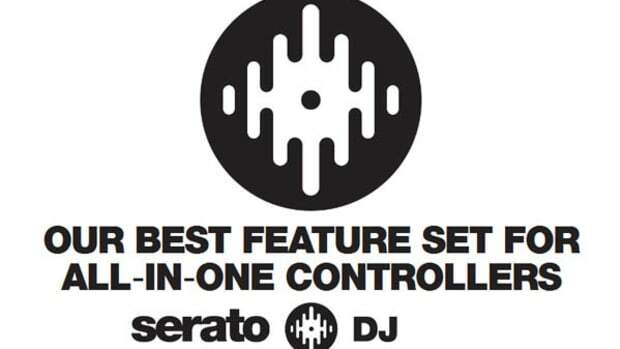 This means that owners of these new controllers can now download Serato DJ Intro 1.2.5 which will give users access to Serato features like sync, cue points, loops, library navigation, and more. The new Serato DJ software (which is basically the new replacement software for Serato Itch) now provides a true upgrade path for people who are using the low-level Serato DJ Intro software with their Digital DJ Controllers. 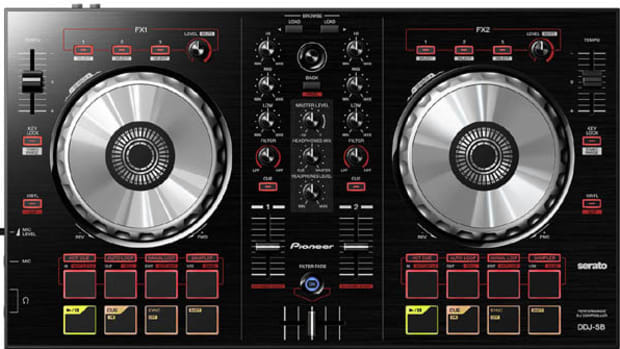 Serato DJ Intro software has a limited number of DJ functions, but DJ that own the Numark Mixtrack, Denon MC2000, or the Pioneer DDJ-ERGO now have the option to upgrade to the full Serato DJ version with much more control over the playback options and lots more features at your fingertips.